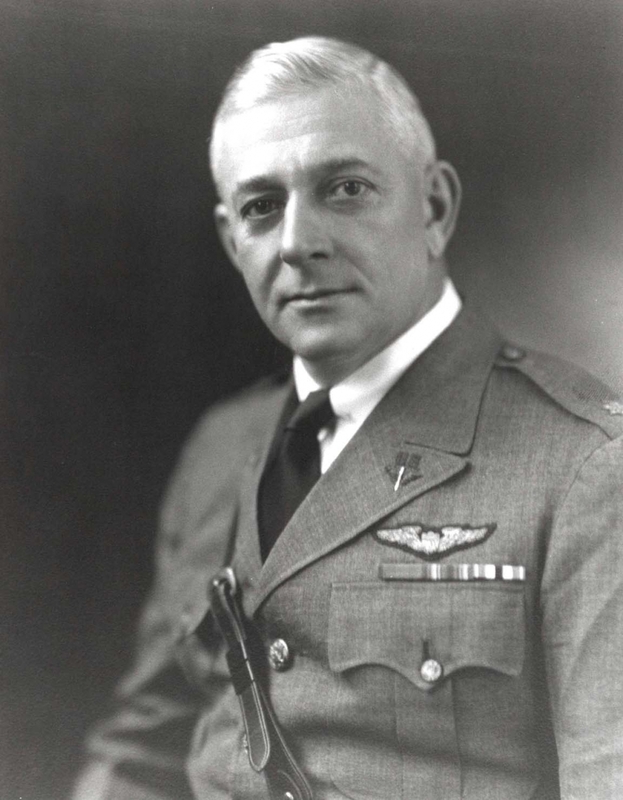 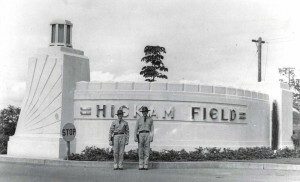 Lt. Col. Horace Hickam for whom Hickam Field, later Hickam Air Force Base, was named, c1932-1934. 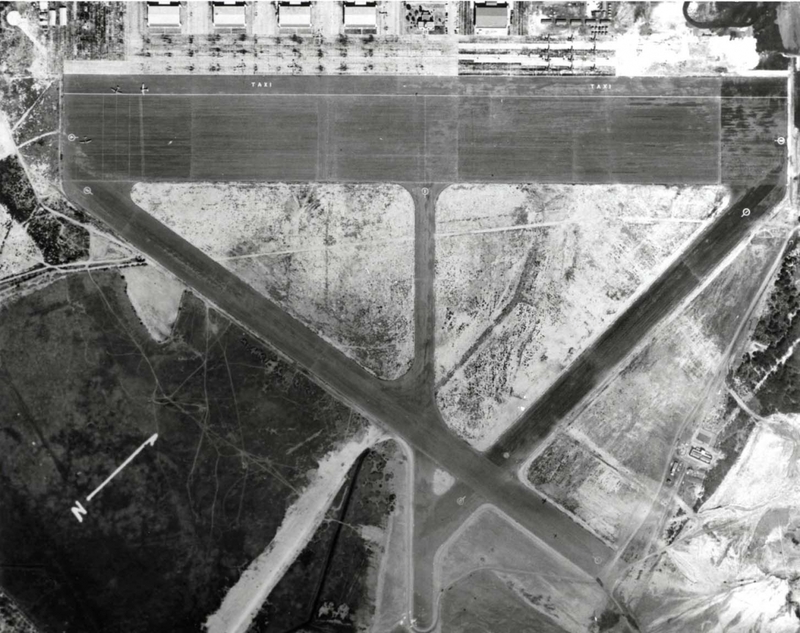 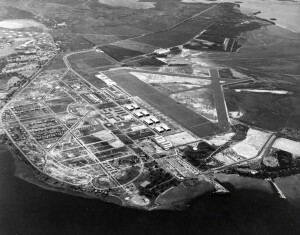 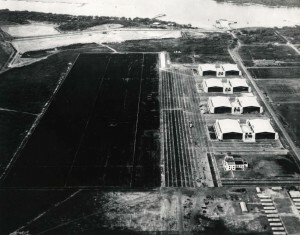 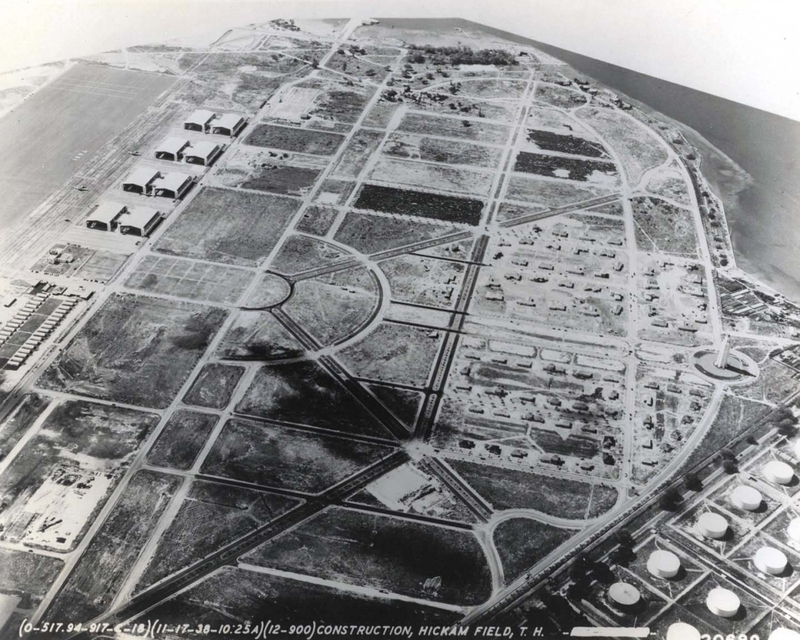 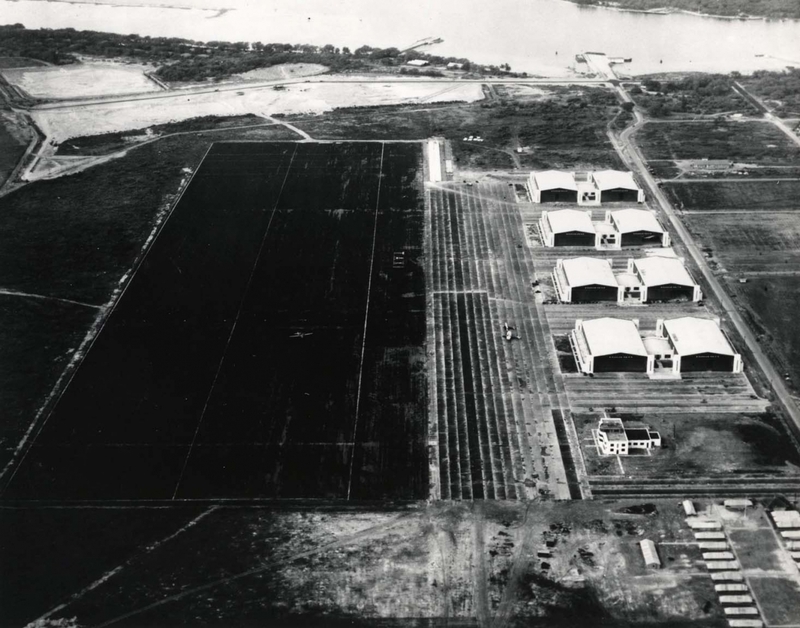 Aerial view of Hickam Field before construction, May 28, 1936. Originally known as Tracks A&B this property was acquired on April 3, 1935 at a cost of $1,095,54.78 from the Bishop, Damon & Queen Emma Estates. 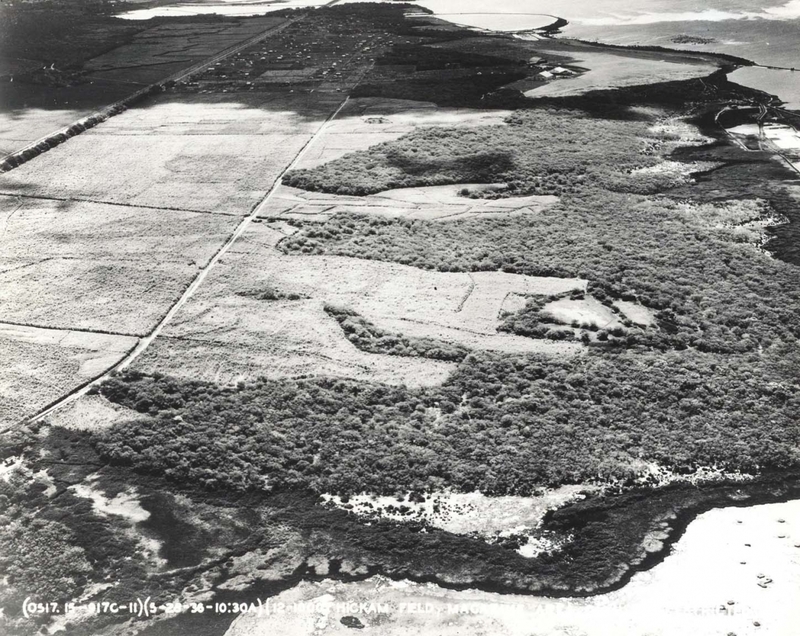 The area was 2,225.46 acres. 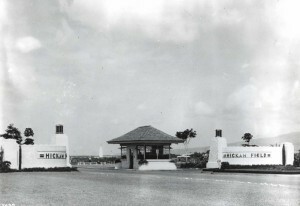 One of the concrete portals flanking Hickam Field's main gate, February 21, 1938. 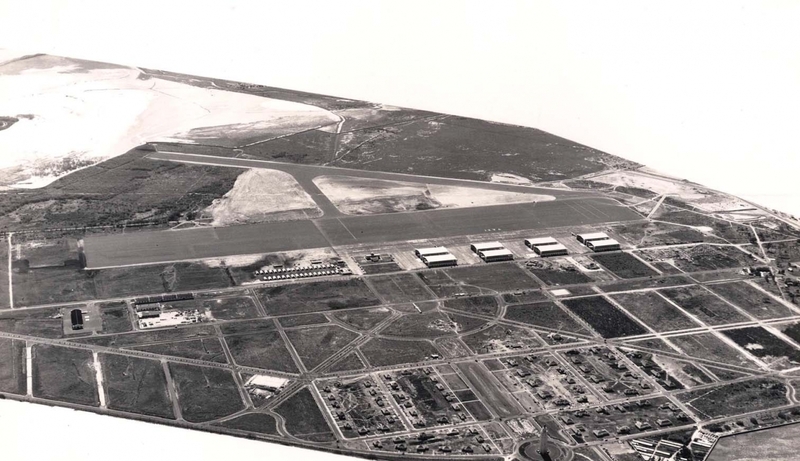 This is believed to be a replica of portals at Kitty Hawk where the Wright Brouthers made their historic flight. 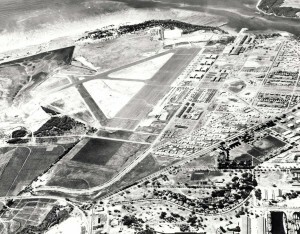 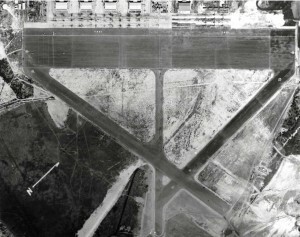 Location of tent city at Hickam Field is clearly shown (lower right hand corner). Base Operations and first four hangars have been completed. Bishop Point dock and submarine net pier are in place and Hangar Avenue extends to Bishop Point, March 31, 1938. 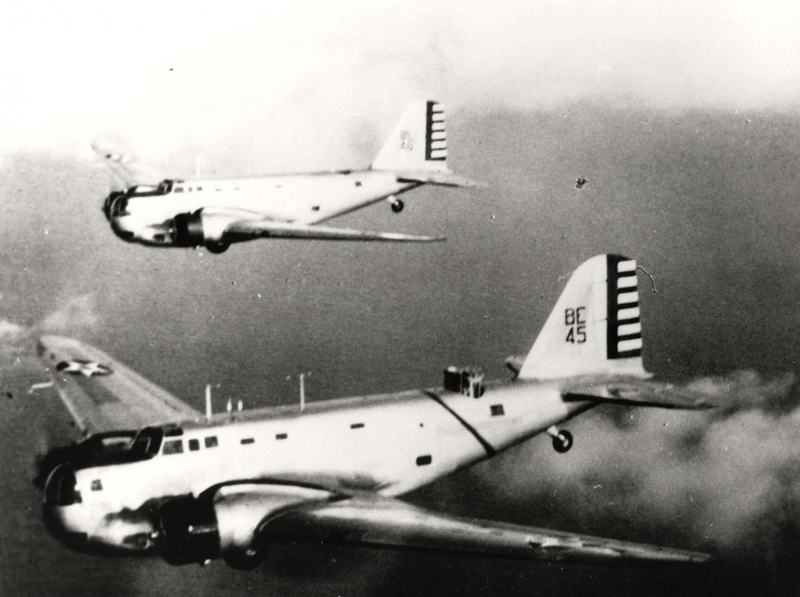 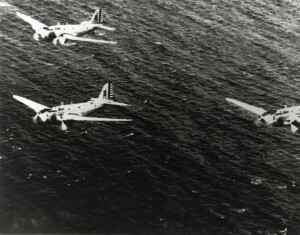 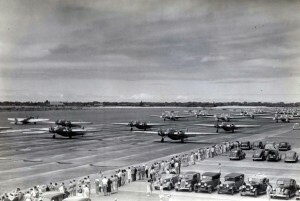 A formation of Martin B-12 and Douglas B-18 bombers over Hickam Field with some roads paved. 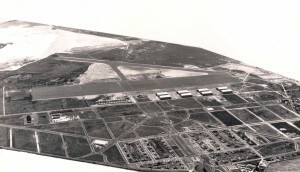 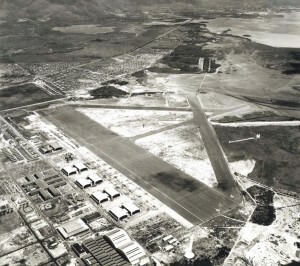 The Diamond Head extension of the taxiway was begun by grading equipment and the railroad is in place to the left of the taxiway, June 18, 1938. 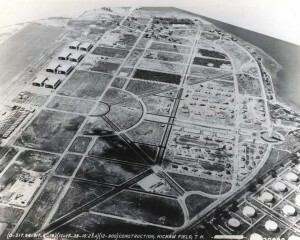 The water tower, paved roads, underground power, family housing, Bishop Point dock, hangars, Base Operations, apron and taxiway are in place, November 17, 1938. 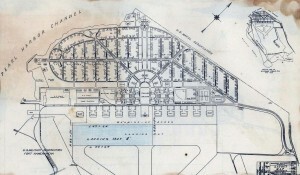 The railroad has been moved to Hangar Avenue and men continue to live in tents. 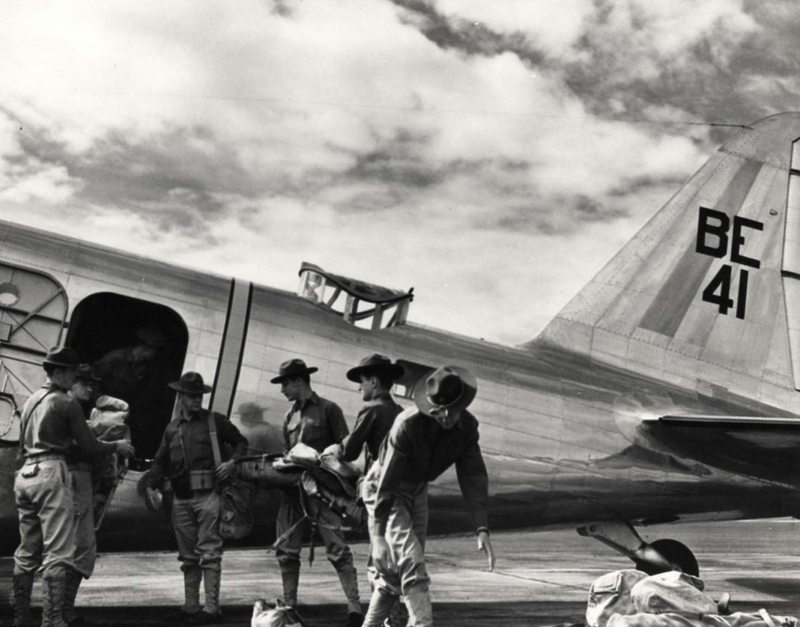 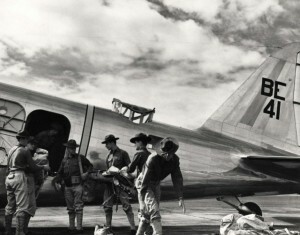 Loading aircraft at Hickam Field, c1938. Entrance to Hickam Field, Hawaii, 1938. 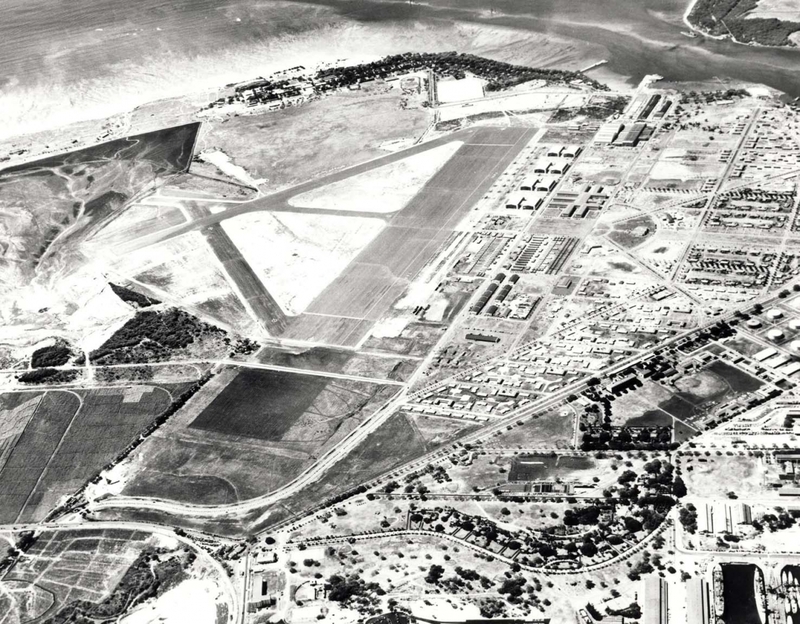 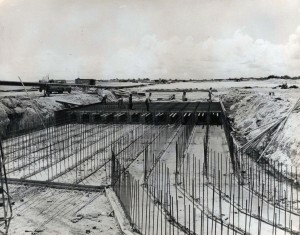 Progress of construction at Hickam Field as viewed from Pearl Harbor, January 25, 1939. 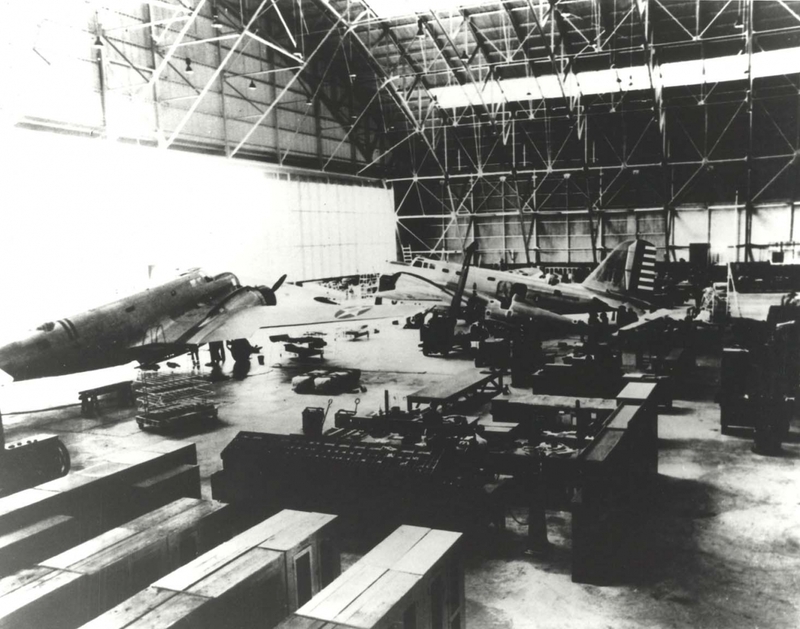 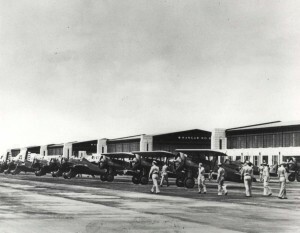 Hangar 35, Hickam Field, with B-18s and a P-26 aircraft in front of the second B-18, c1940-1941. 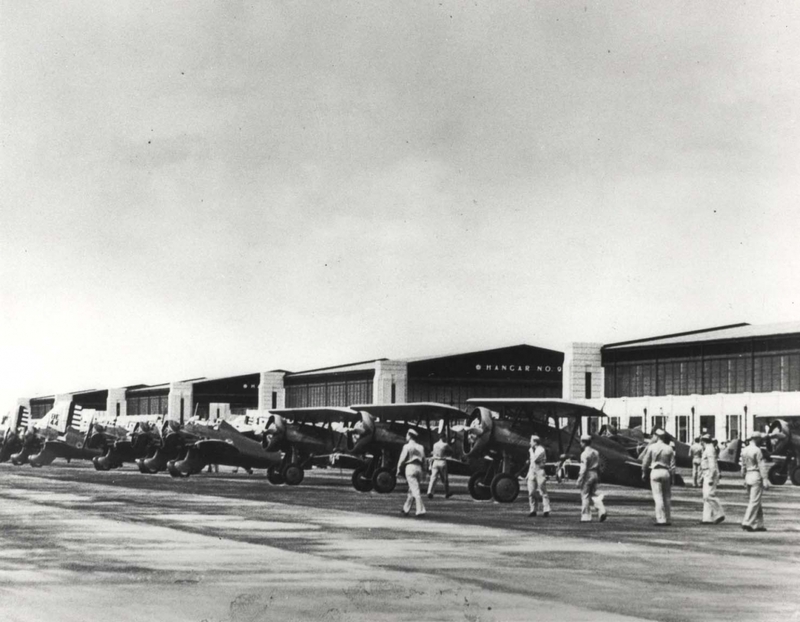 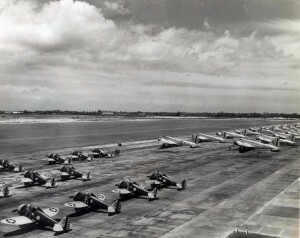 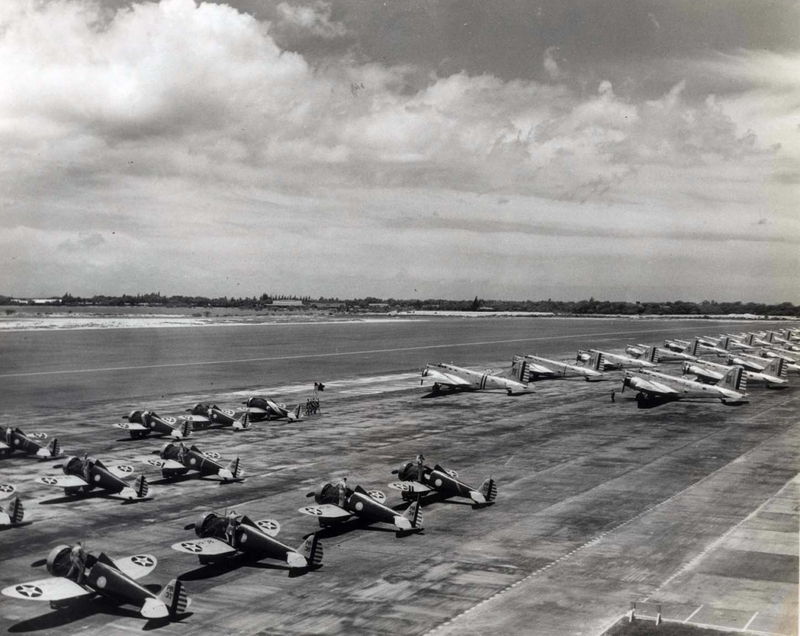 B-18s on Hickam Field flight line, 1940. 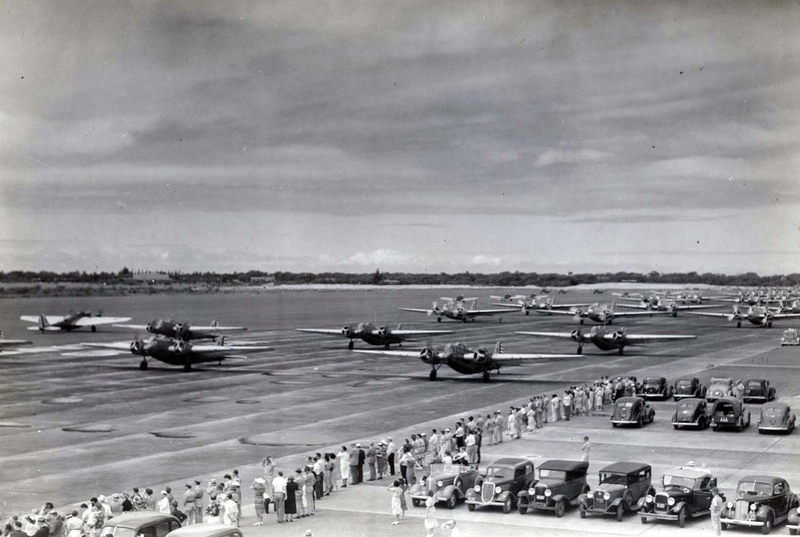 Douglas B-18 Bolo Bombers and Boeing P-26 and P-12E aircraft parked on flight line at Hickam Field, 1940. 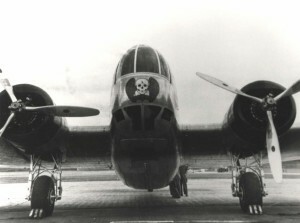 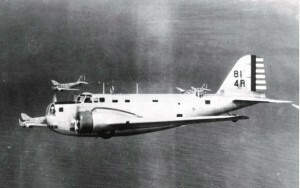 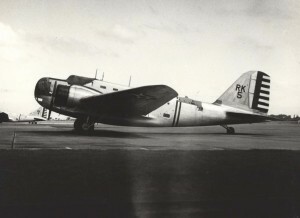 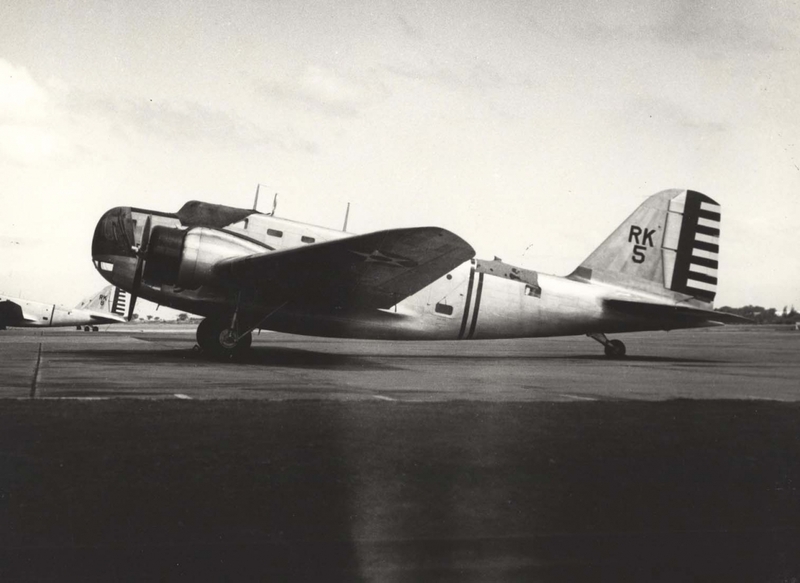 B-18 number BE-45 stationed at Hickam Field was the B Flight Leader's Plane. 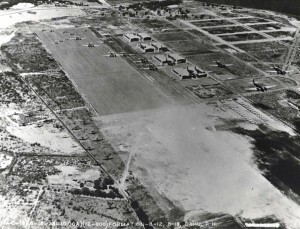 Runway construction at Hickam Field, 1940. 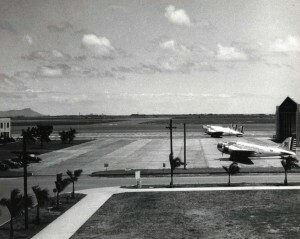 B-18 stationed at Hickam Field, c1938-1940. 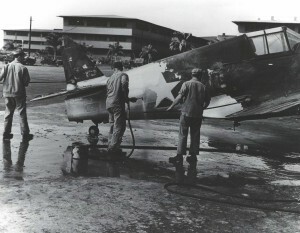 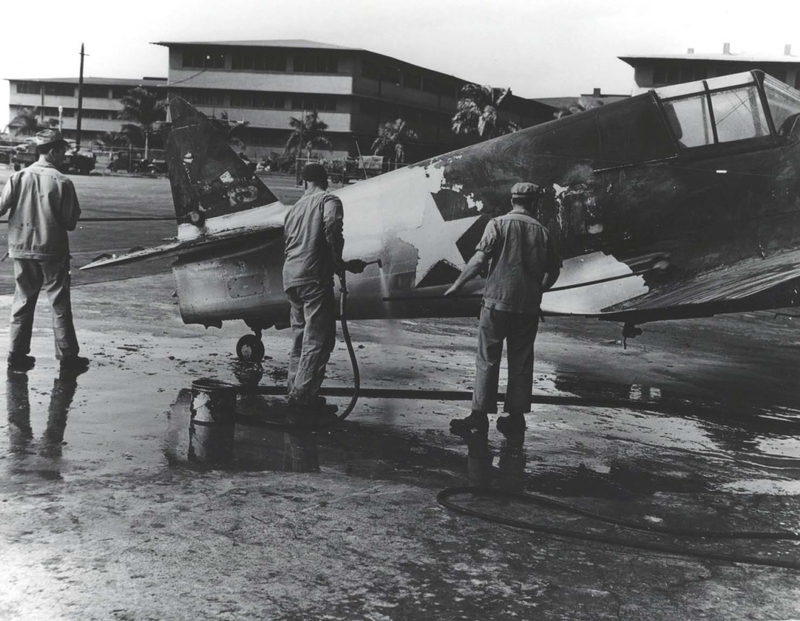 Ground crew members wash P-40 aircraft fuselage at Hickam Field, 1940. 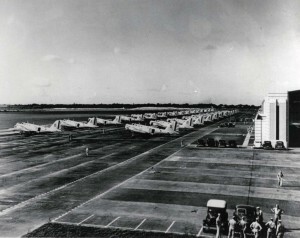 B-18s stationed at Hickam Field, c1938-1940. Hickam Field, October 1, 1941. Aerial from 3,000 feet shows completed Diamond Head extension of taxiway. 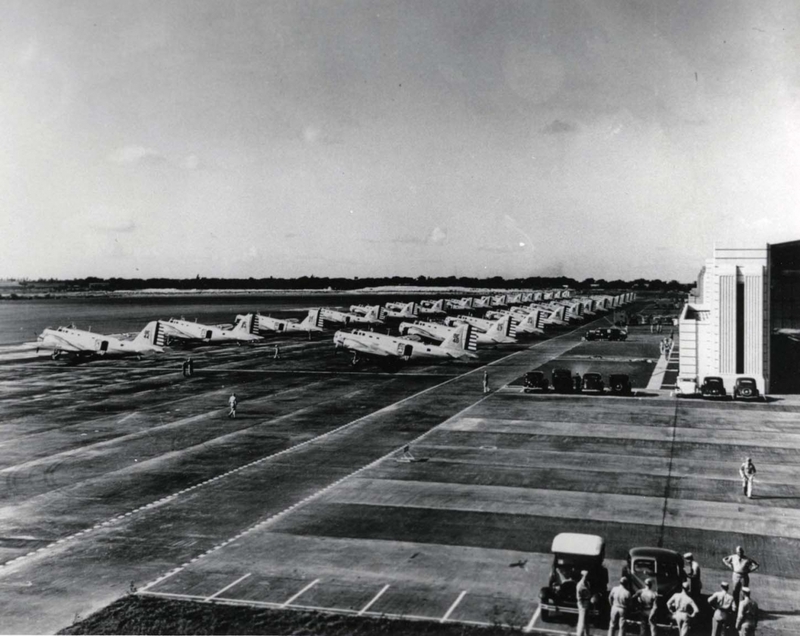 Planes are parked closely together on apron for security since sabotage was considered the greatest threat. Two months later the Japanese aerial attack occurred. 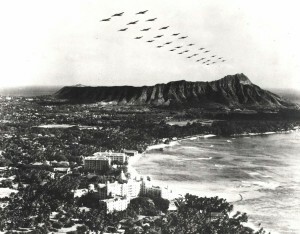 October 1, 1941. Trick photo; not authentic. 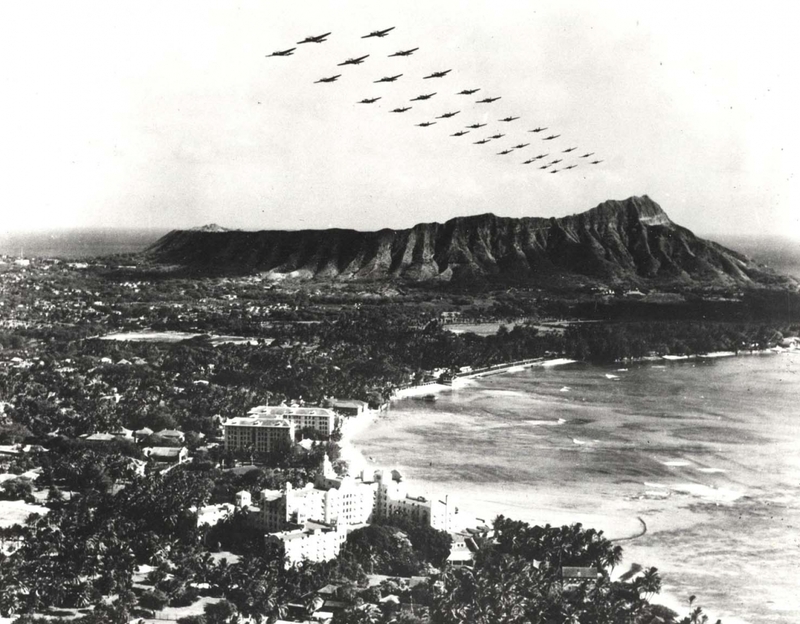 Created by combining 1-18-1934 photo of Waikiki and April 6, 1940 photo of B-18 formation over Oahu. 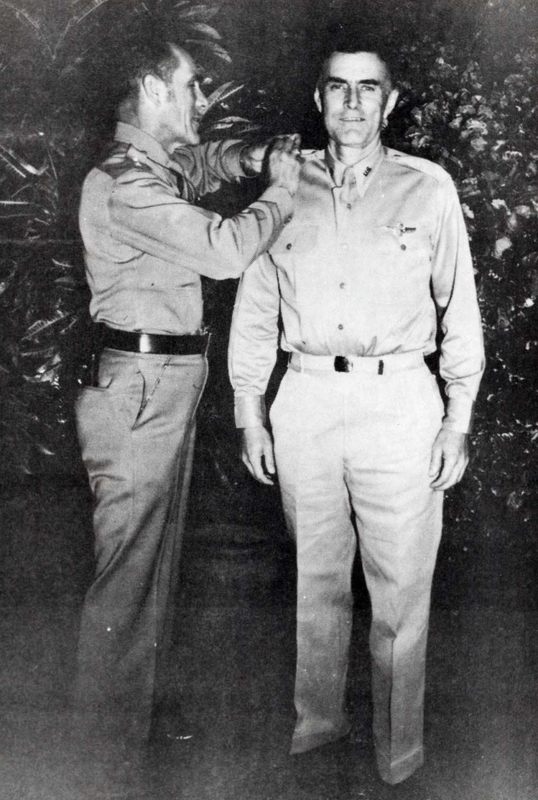 Maj. Gen. Clarence A. Tinker, commanding general of 7th Air Force, pins stars of Brig. 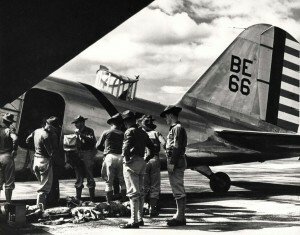 Gen. on Col. William Farthing, Commander of the 7th Air Force Base Command, atHickam Field, October 1, 1941.